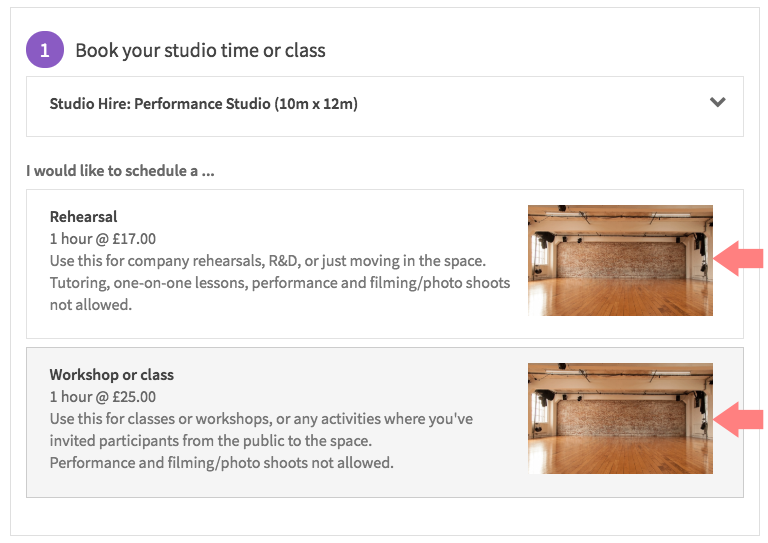 Introducing our new online booking system for studio hire! Read below for a complete how-to of booking, managing your account, and changing or cancelling online. If you haven’t booked online before with us, you can skip the log in step. All of our existing clients will need to create a new login for the online booking system. If you do already have a login, see the login tutorial instructions at the bottom of this page. If you are unfamiliar with our studios, please read about them on this page. Please note the allowable activity for each type of booking. 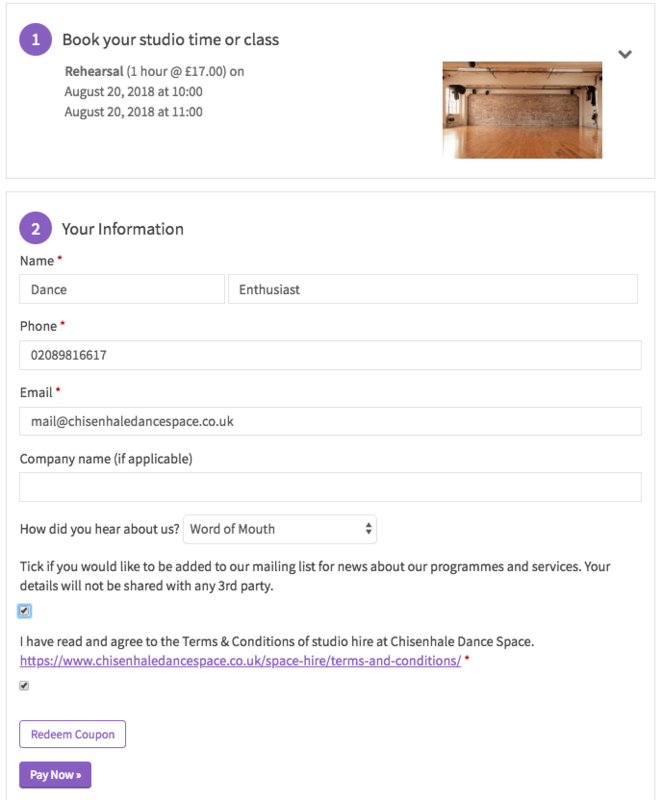 If you are looking to book commercial or film hire, please email us at manager@chisenhaledancespace.co.uk or call 0208 981 6617. Move through the available dates by clicking “More times” or “Previous”. 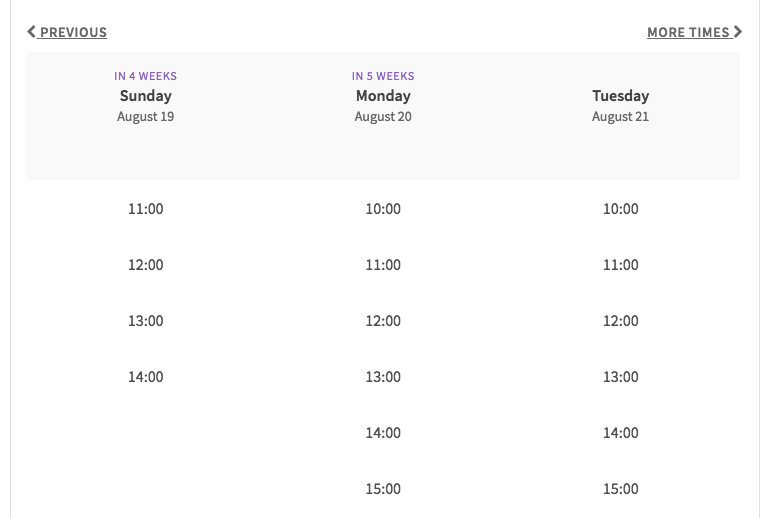 The times shown are the start of each available hour. Hours which are already booked or unavailable are not shown. Click on the first hour you’d like to book and click “Continue” if you only want to book one hour. 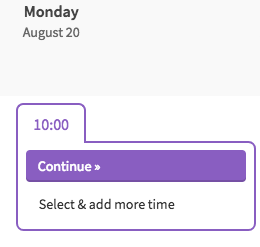 If you want to book more than one hour, click “Select & add more time”. Your first hour is shown above the calendar once you select it. You can then select your next hour in the same way. When you have finished selecting hours, just click “Continue” on the final hour. You will see the hours you have selected at the top of the page. Fill your details in the requested fields and click “Pay now”. We accept Visa, Mastercard and American Express. Choose whether you’d like to save your payment method in your account for future bookings. You will receive a confirmation of your booking that is also sent to your email. Please save the email in order to manage your booking online. Click “Register for an Account” to keep all of your bookings together for future reference. Our system does not automatically send VAT receipts. A VAT receipt will be sent by CDS staff within 1-2 business days. Enter your email address and password to create an account. You will see a registration confirmation with your current bookings included. 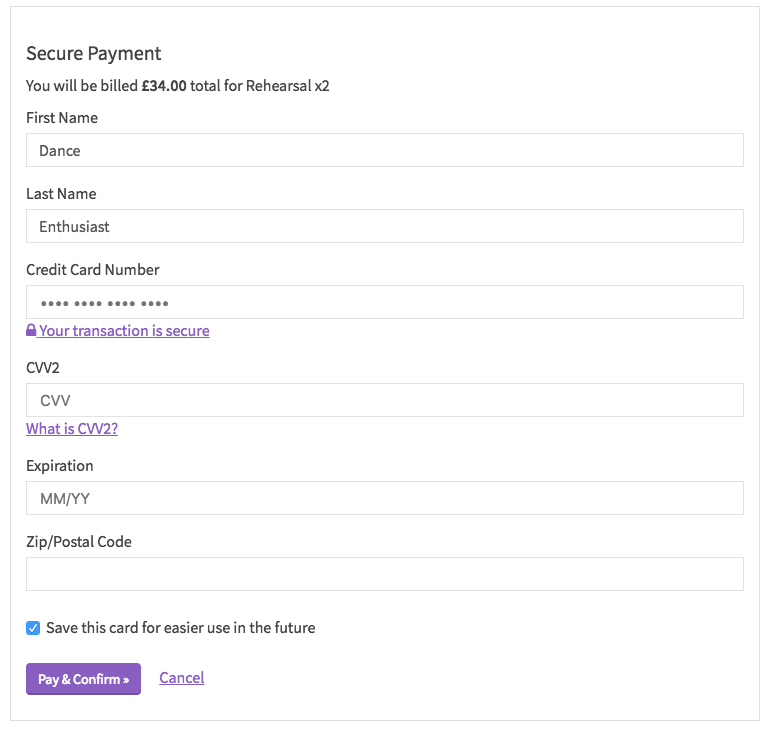 You do not need to create an account before your first booking. 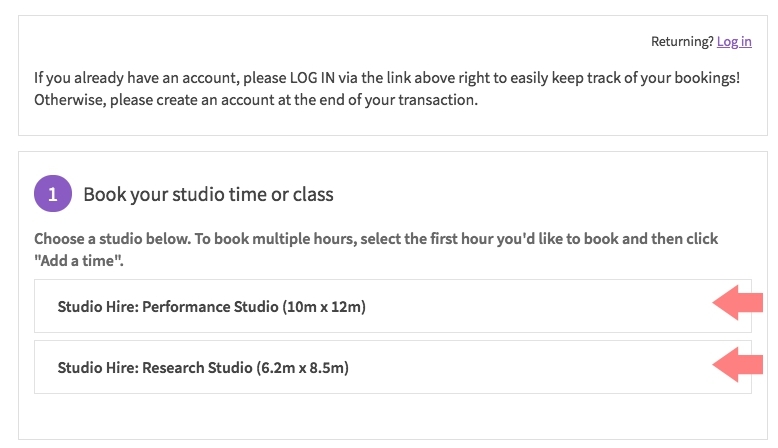 After you complete your first booking, you have the option to register for an account. Once created, you will receive a confirmation email confirming your username, which is your email address. If you have created an account already, on the booking page click “log in” at the top before starting your booking. 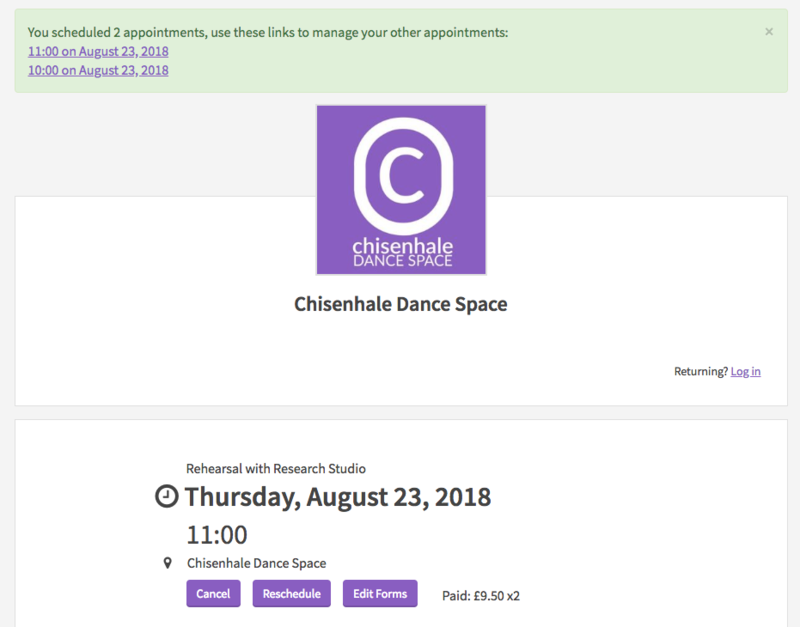 You can also log in after completing your booking to add the booking to your account, as long as you have entered the same email address in the booking process. Click “Log in as…” on the confirmation page, enter your password and the booking will automatically be added to your existing account. If you’d like to change your booking, you can do it online using the confirmation email you received when booking. 1. 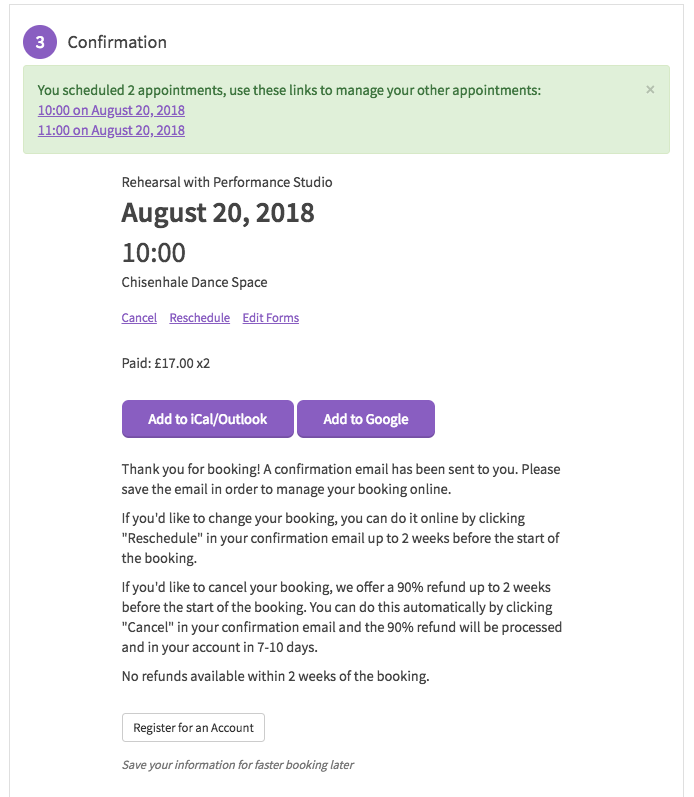 Click “Change/Cancel” in your confirmation email up to 2 weeks before the start of the booking. You will be redirected to a page where you can change each individual hour using links at the top. 2. Change the first hour of the booking that you want to move. Make sure you change all the hours that you have booked individually, or that you want to change. After changing the first hour, you will be redirected to the original page showing your rescheduled hour as well as any remaining hours. 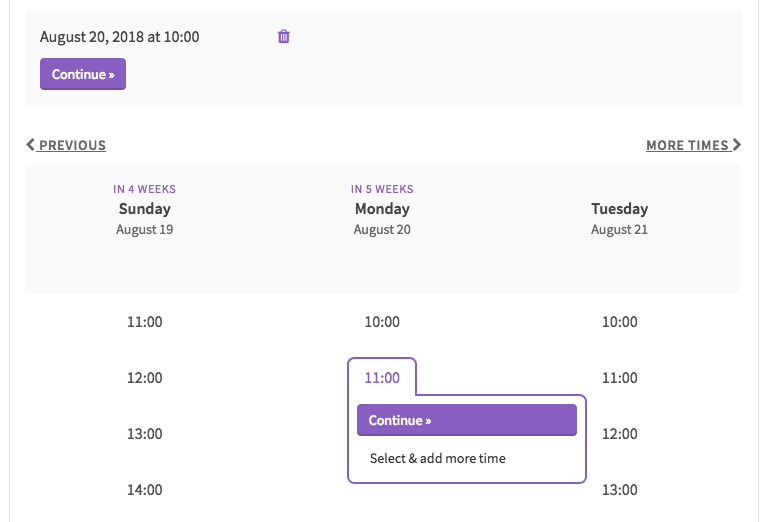 Click on the hour you want to change next until you have moved the entire booking. If you’d like to cancel your booking completely, we offer a 90% refund up to 2 weeks before the start of the booking. You can do this automatically by clicking “Change/Cancel” in your confirmation email and the 90% refund will be processed and in your account in 3-5 business days. No refunds available within 2 weeks of the booking.